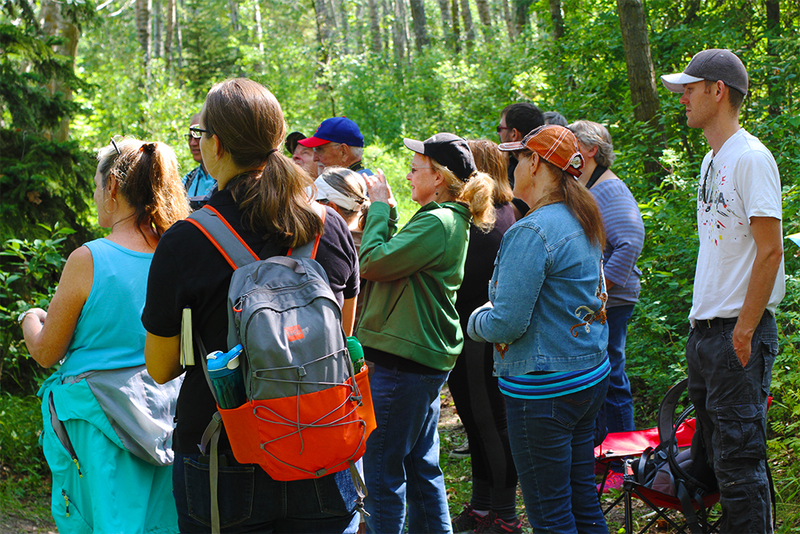 Nature enthusiasts and EALT supporters gathered in the Northeast of Edmonton a week ago to experience the uniqueness of a special piece of land that we are working to conserve. Guests could choose from four different tours to experience the land in different ways: a Nature Interpretive tour, an Urban Agriculture Tour, a Lady Flower Gardens tour or a Forest Therapy (Shinrin-Yoku) Tour. If you were unable to attend, take a look at some highlights of the day with our Photo Story. Doug Visser (landowner) and Kelly Mills (Lady Flower Gardens). Heidi Krieger (Walks with Heidi) and Suzanne Klein (The Forest Garden), our Forest Therapists. Gord Court for lending Colonel Slade, the Barred Owl. Axel Arena Lopez from 5th Avenue Photography, our videographer. Joseph Tetzlaff, our Nature Interpretive Tour photographer (@th3i_photography. 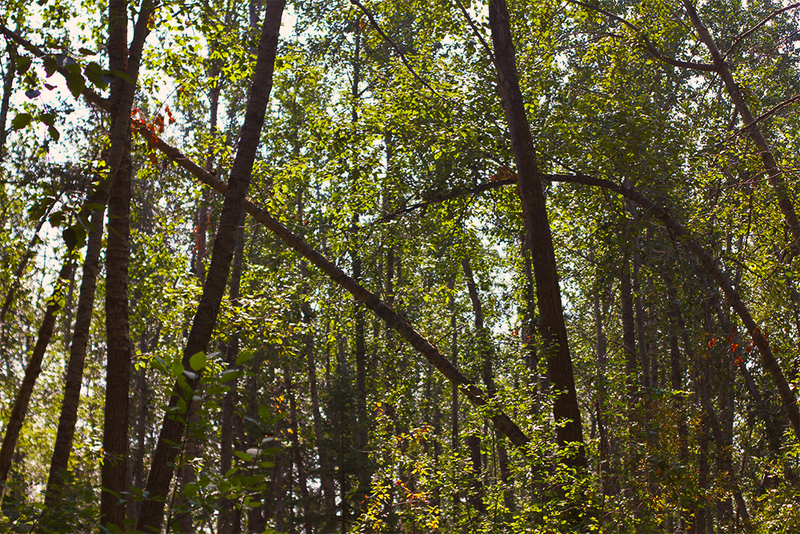 The Edmonton and Area Land Trust (EALT), this region’s conservancy, is delighted to be celebrating 10 years of nature conservation in the Edmonton region. We are working with Doug Visser to place a Conservation Easement on his lands, to conserve biodiversity and agricultural lands within Edmonton, in perpetuity. Unfortunately, we need funds to conserve the biodiverse lands too, and despite the significance of this land, its native habitat, and the species at risk found there, last year’s application to the Provincial Land Trust Grant Program was declined. This is unfortunate to say the least, since it pays for legal and appraisal fees, as well as baseline documentation and conservation management planning, all of which land trusts are obliged to do. We have created a campaign that will assist EALT with the “Front End” costs (mainly in the first year) associated with setting up a conservation easement. The landowner, Doug Visser, has agreed to match any public donations up to $10,000. It should be noted that this generous individual has also donated $70,000 to a matching stewarding endowment. This effort simply needs to be successful.